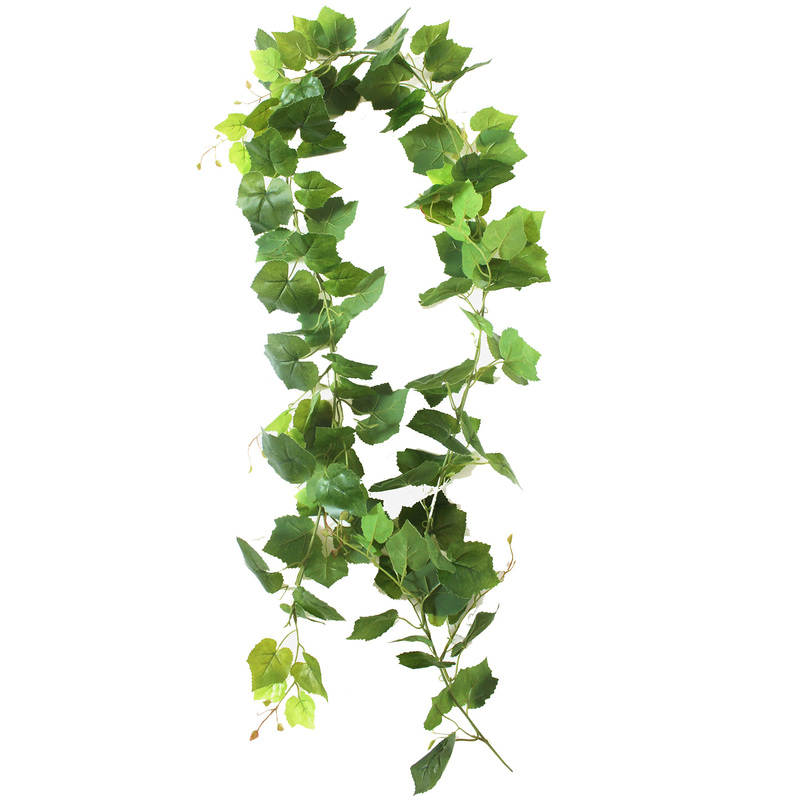 Stunningly beautiful, this 7' grape silk garland comes ready to be hung and displayed. Greenery creates beautiful, peaceful spaces where you can relax whether in your home or at the office. With this delicate faux garland, not only can you enhance the aesthetic of any room but it'll add the perfect touch to any celebration- from birthday parties to weddings. And you don't need to water it or worry about them wilting because our exquisitely crafted garlands are truly evergreen, can be stored easily and used time and time again. This listing is for 1 pack. You will receive 15 items per pack, 1 item shown in picture, which may be a closup view. Length each - 7', Width - 7"